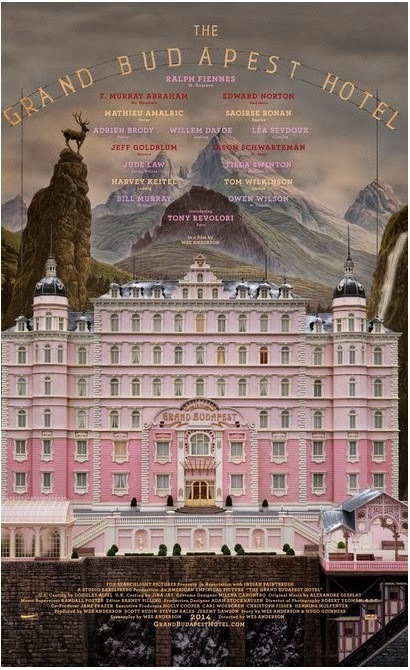 Wes Anderson’s masterful The Grand Budapest Hotel is not really about that (fictional) hotel, but about its concierge, M. Gustave H., who actually spends most of the movie not actually in The Grand Budapest Hotel, but having adventures in the most playful Europe you’ve ever seen on-screen. M.G.H. is played by Ralph Fiennes, and, if you don’t come out of the film swearing he’s your favourite actor, it’s because he was your favourite actor going in. This is a case of a director at the absolute peak of his abilities handing a huge, fantastical, multi-faceted, movie-reliant role to an actor at the peak of his abilities, and that actor absolutely, positively nailing it. The film is a wonder and a delight from start to finish, as is Fiennes’ performance, and if he isn’t nominated for an Oscar next year, I’ll have to make some angry calls. 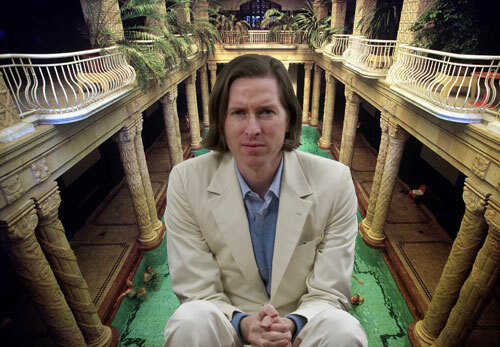 There is a shot in the film – a relatively speedy zoom-in on a cake box – that, to me, sums up where Wes Anderson is at. It’s a punch-line shot, but it’s so fiendishly, brilliantly clever, relying on our deep, ingrained, almost folklorish knowledge of storytelling conventions and the repertoire of classic jokes, that some people will inevitably get it faster than others. Hence Anderson lets the zoom go on too long, allowing people to get it when they get it – and that element becomes a second joke, and, if you see it in a cinema with a healthy house, the staggered laughter at the first two jokes then laughs at itself – a third joke, all achieved with one simple but perfectly planned-out and ascended-to shot containing one sublimely loaded prop. Inside that cake box is a colourful, perfectly constructed, obviously very sweet little cake, and I’m sure I’d be the millionth critic to compare that cake to the film, but the comparison is so obvious it feels like another of Anderson’s perfect jokes. The film is a sweet confection, light and airy, delicious, fleeting, wispy, as delicate and well-constructed as it is ephemeral, and, like the best dessert, it brings nothing but pleasure and smiles and happiness and love. Although all the stars of Anderson’s previous films are here (some just for single shots, and some, like Harvey Keitel and Willem Dafoe, doing seminal comedic work), the film belongs to Fiennes and young Tony Revolori, who nails the Anderson style just as a young Jason Schwartzman did in Rushmore. Later joined by a truly luminous Saoirse Ronan, these jaunty “European” caperers, all speaking in their natural accents (but with the diction that only comes in a Wes Anderson movie, clipped, fully-voiced, complete), have the time of their lives, as do we in their company. A fairytale for adults, this is Anderson’s über-film thus far, utilising the entire breadth and astonishing depth of his imagination to bear exquisite humour and life in every single, immaculately composed shot. Suffice to say, if you don’t like Anderson’s style, you’ll hate this film; if you’re a fan – a “Wesbian” – you’ll be in movie heaven. The only reason this review isn’t five stars is that I’m convinced that Anderson, only 44, still has higher to go.